Actually, I’m not talking about red wine, or any wine for that matter. I’m talking about red doors. Odd how the above door, doesn’t have a handle, but it works for a visual aide. My current front door is an old wood door, that should probably be replaced, since sometimes it brings light into my living room, even when it’s closed. 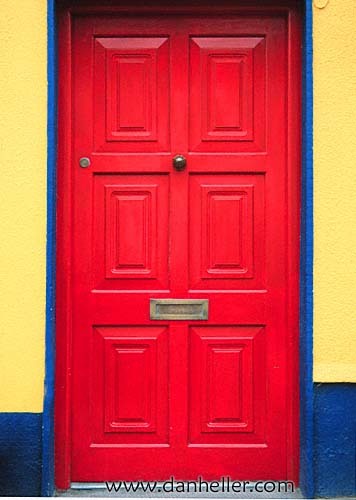 But I digress, I’m loving red doors right now, and I’d like to paint my front door red. I figure since our front door will probably be replaced soon, it would a be a good test subject. I’ve also thought about painting the security door red as well, but that might be too much of a commitment for me right now. Isn’t it just so cheery! I love brights! That might be why I didn’t hesitate to buy my yellow shoebox. For now I will leave it at two colors. This evening the sweetie and I plan on taking our Friday night pilgrimage to Lowes, so I’ll pick up some samples while I’m there, and of course drool over the fancy tubs and pretty kitchens. 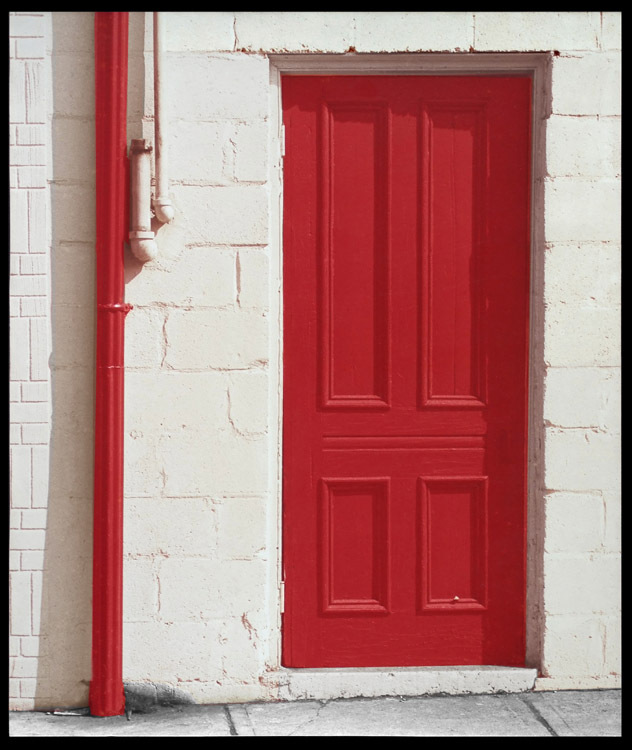 I’ll leave you with some images of pretty red doors, and some links to some pretty cool sites.